Tonight’s Post Patron is Amazon Prime Pantry! I *love* this sponsor! This awesome service offers FREE SHIPPING on an exclusive selection of low priced items on Amazon. Click here for a 30-Day Free Trial! Behold: my most beloved, most requested recipe. Forgive the less-than-professional photos…my recipe tonight is from way back in the day. We’re talking, when I was taking photos on the first generation iPhone. I know…we’ve come a long way. But this meal, not only is it the perfect meatless supper for Lent, but it is hands down one of the best things you will ever eat. I have made this dish for countless special occasions – Christmas, Easter, Birthdays. I have made this dish for dinner parties. This meal is a CROWD PLEASER. And I am so excited to share it with you tonight. It’s gluten free, it’s dairy free. I’ve even got a Paleo option for you. So grab your appetites and let’s go! Combine the marinade ingredients with the tuna steaks in a gallon siptop bag. Make sure the steaks are all coated, and then put the bag (on a plate in case it leaks) in the fridge for at least an hour. Cook your rice per/package directions, using vegetable stock instead of water. Meanwhile, combine the sauce ingredients in a small mixing bowl and a whisk. Sauté your onions in 1 Tbsp extra virgin olive oil, with salt and a pinch of red pepper flakes. After they soften for a few minutes, add the carrots and peppers and let them cook for three minutes. Add in the garlic, ginger, and mushrooms. Allow them to cook until the mushrooms are tender, and the carrots are no longer super crunchy, about three more minutes. Stir in the frozen edamame, and then stir in the sauce. Allow to warm through, about 2-3 minutes. To sear your fish: Spray a non-stick grill pan with a high-heat cooking spray. Preheat the pan until it is screamin’ hot, and then carefully sear each side of the ahi tuna for 1-2 minutes. If you want it less rare, you can cook it for longer, but I wouldn’t recommend it! To serve, top a mound of rice with your vegetable stir fry, and thin slices of the tuna, sliced crosswise. Holy cow, you guys. This is a dinner for the record books! Not only is this dish incredibly stunning, but it is beyond flavorful. The key to this dish is the marinade. Honestly, this dish is all about the quality of the fish. Obviously, since this dish is rare, using a sushi-grade tuna is a must. 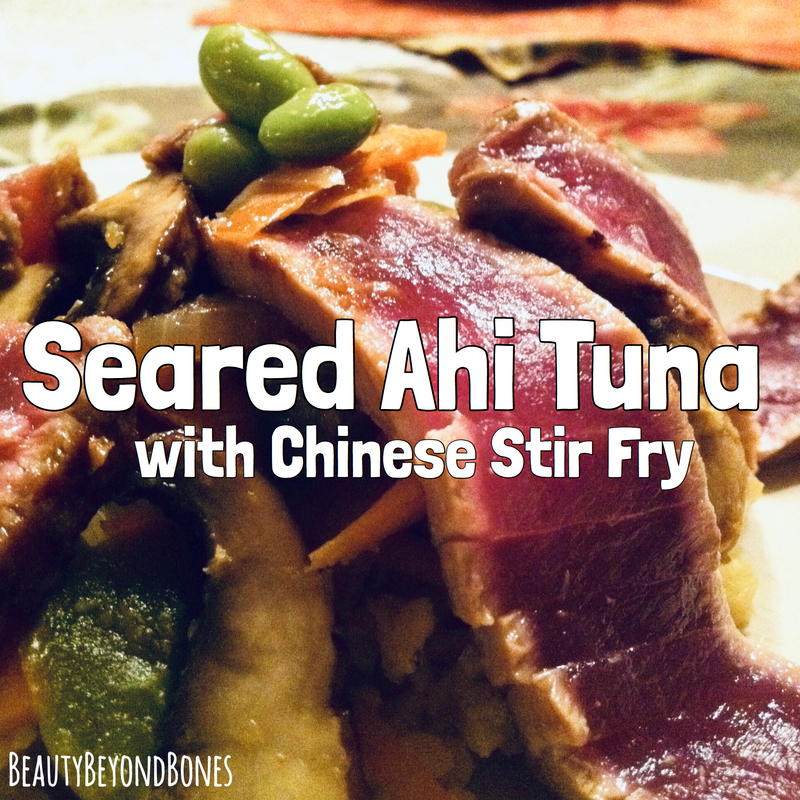 So this dish is all about highlighting the beautiful freshness and delicacy that is ahi tuna. So the marinade, really seeps into the fish and elevates it with this perfect balance of salty/gingery/subtly sweet flavor. Simply divine. And the texture of such a high quality fish, cooked like this, is that it literally melts in your mouth. Honestly, it’s like butter! And then you pair that with the crisp vegetables, and the sticky, chewy rice. It is a match made in Heaven! Finally, the presentation of this dish is one that makes your guests “Oooh and Aaaah.” Honestly – the pictures don’e even do it justice! It is STUNNING. Do yourself a favor and MAKE. THIS. DISH. Truly. I know a good quality ahi-tuna is a bit more of a splurge – price wise – than say, a salmon or something. But it is such a special meal — TREAT. YO’SELF! BIG ANNOUNCEMENT coming tomorrow! And I cannot wait to share with you!!! What are some of your favorite meals to make for Lent? 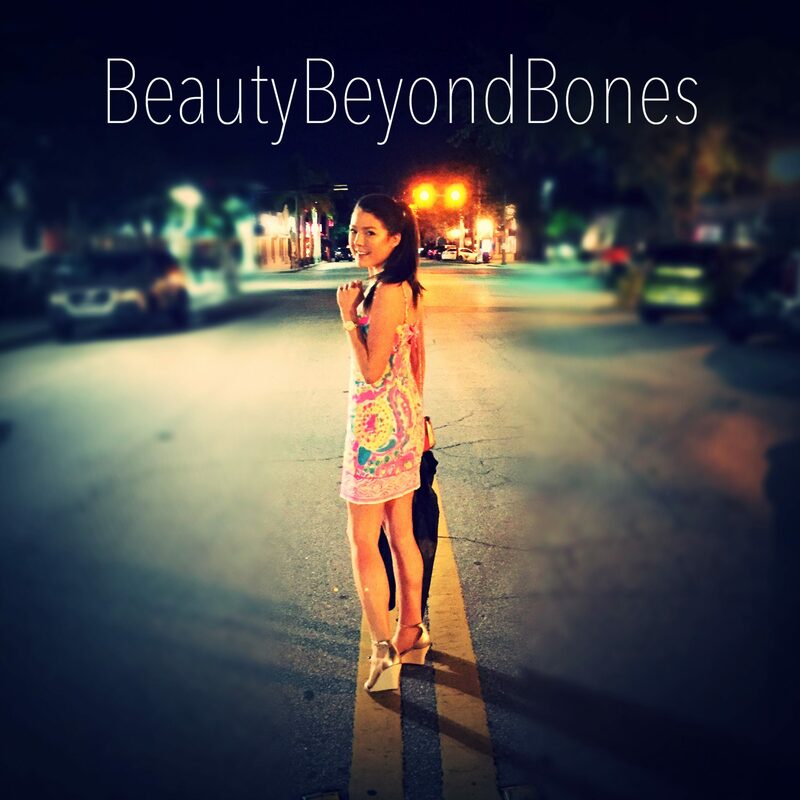 Next Post Censored by Facebook AGAIN, & the B³ Apparel Line! You know that kinda looks like BACON. which by the way I love. That looks off the charts GOOD! I’m going to try this one, thanks BBB! Glad I caught one of your posts again, it’s been a while. Hope all is well. Shared this with my son in North Carolina for his Restaurant, The Rural Seed Restaurant, Columbus N.C. It may appear on the Night Menu. We could Honor you. You are so Great. Can’t wait to make this! Thanx for recipe! Lololol I can tell 😀 lol you’re welcome hun!